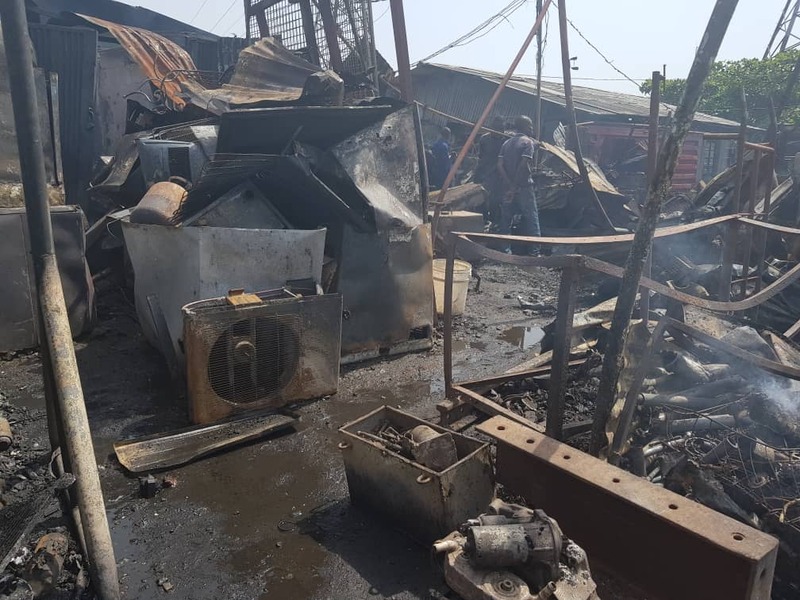 Goods worth millions of naira was lost to fire Thursday, 21st March, 2019 at the Census Market in Babs Animashaun, Surulere. 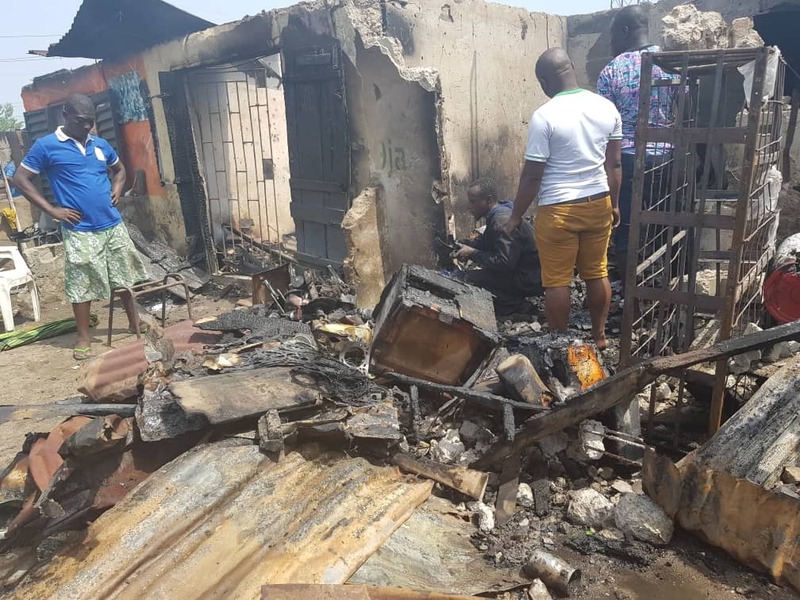 The fire which started around 12pm on Thursday was caused by gas explosion in a house. 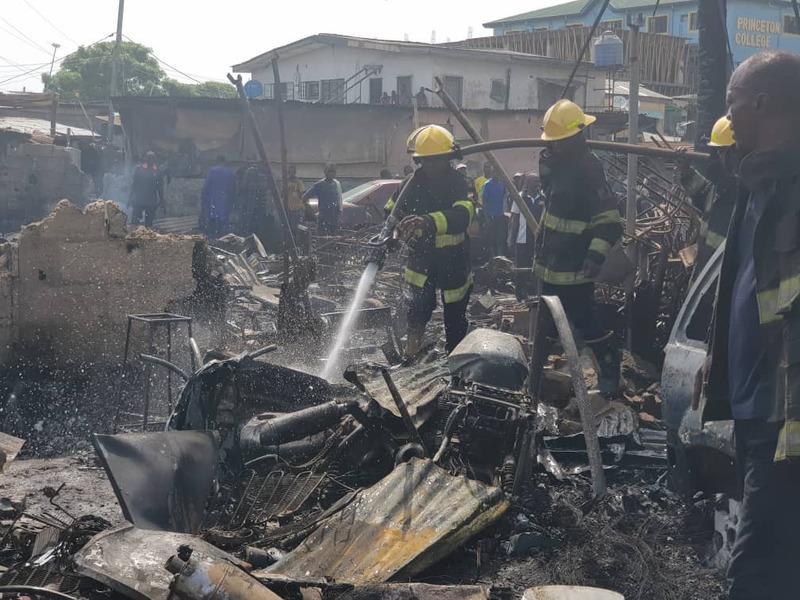 After calls and shares on social media, the Fire Service arrived a bit on time but with one vehicle which wasn't enough to quench the fire. 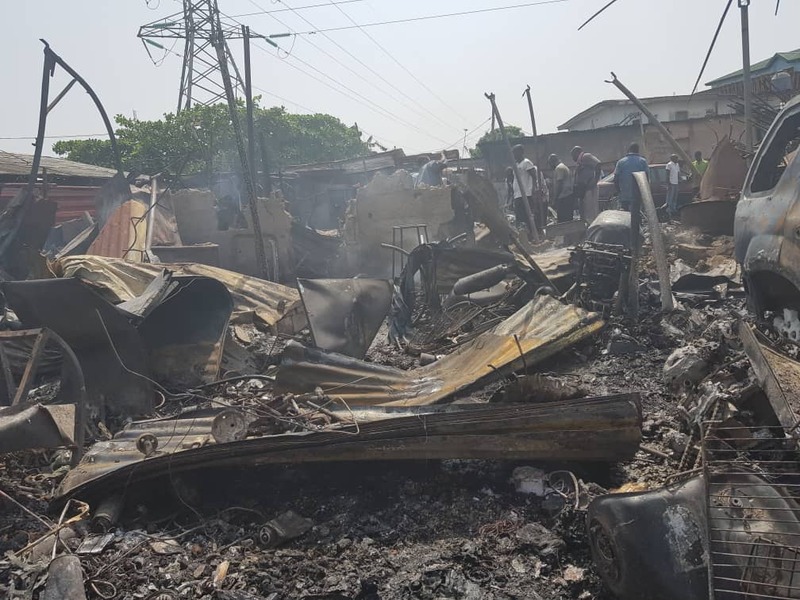 "Please fire service is here already but they came with just one vehicle, please let help out by continuing to call them so they can come with more vehicle to put off the fire. Cars were also lost due to the mechanic shop closed to the affected building.